At just £9.99 and without having to sign a contract you can transform you ordinary TV into a smart one with access to BBC iPlayer, Demand 5, BBC News App and Sky News, plus NOW TV – Sky's own internet TV services (Sky Sports and Sky Movies). According to NowTV, until now, unless you are receiving catch-up as part of a pay TV subscription, you would have needed to pay tens or even hundreds of pounds to purchase internet-streaming devices to watch catch-up TV on a regular TV. 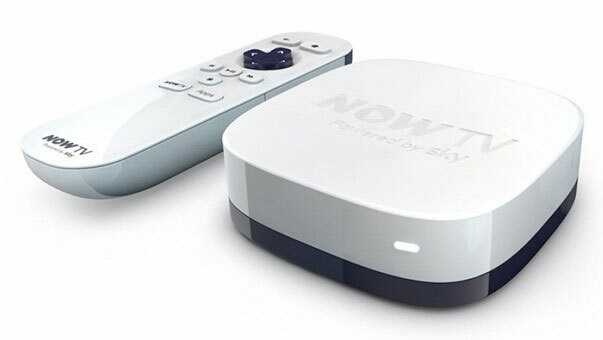 With the new NOW TV Box, for less than £10, customers can access the best in catch-up TV. The service work by connecting wirelessly to your home broadband and then downloading content to your TV. You simply plug the box into your TV set via the HDMI cable provided, connect to your wireless internet connection and you are ready to start watching. With NOW TV you have the option to upgrade to access live sport and on demand movies. You can get a NOW TV Box plus Sky Sports Day Pass for £14.99, providing unlimited access to all six Sky Sports channels for 24 hours. In addition, for just £24.99, you can pick up NOW TV Box and a 3-month Sky Movies Pass, which allow access to some of the latest and biggest blockbuster movies, available at least 12 months before any other online movie subscription service. Spotify, Facebook and flickr: Listen to music, catch up with friends and even share your photos all through your TV set. BBC iPlayer, which is only available via the internet can now been seen on your TV through the NOW TV Box. There is also access to BBC News app, which gives viewers access to BBC news reports, interviews and videos at the touch of a button on their TV. Access to other channels such as Demand 5, which allows you to catch-up on a wide selection of Channel 5 shows for at least 7 days after they first broadcast. Sky’s 24/7 live news feed. Sky Sports: For just £9.99 a day you have access to 6 of their sports channels. Sky Movies: Sign up for a Sky Movies Pass with NOW TV to get unlimited access to over 800 movies. There is also up to 4 new premieres each week for just £8.99 a month. A selection of Sky's entertainment channels and a range of other third-party entertainment channels will also be added to NOW TV before the end of the calendar year.